All Saints' has been a Help4Kids supporter since the organization was founded. 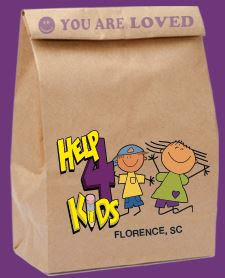 We are a proud partner in helping address weekend hunger among elementary age children in the Florence community. In our continuing effort to serve Help4Kids, the Student Council has planned a spring food collection week. Please send in items listed below. THANK YOU FOR PARTICIPATING IN THIS PROJECT! 2,200 bags of food are provided EVERY week. To learn more about Help4Kids, click here to visit their website.